Can we take a second to talk about this kid Christian Hackenberg? I was able to watch the second half of the Penn State game against UCF in Dublin while working earlier today. When UCF scored with just south of two minutes remaining in the game I said, out loud, “Hack’s got this.” I had personal experience – last year when Penn State beat Michigan in 4OT after Hackenberg led an 80-yard touchdown drive in under a minute, I was in the stands, I cried. You know what? Hack did have it. He marched the Lions down the field for Sam Ficken to knock in a 36-yard field goal to win it at the buzzer. The James Franklin era kicks off with a win. Everyone is happy. Then I looked at a box score. 32/47 for 454 yards. This kid has some real talent. He threw two picks, yes, but he threw them to a defense that had just won the Fiesta Bowl. Oh, and he’s younger than I am. I’m not too concerned about this. Given that there are at least two more years of Hackey sack in State College makes me all the happier to be a Penn State fan. Every Saturday I have will be spent watching the youthful gunslinger do work against the Big Ten while I remind myself that going to Boston University, who has not played football since Clinton was in office, was the right decision. 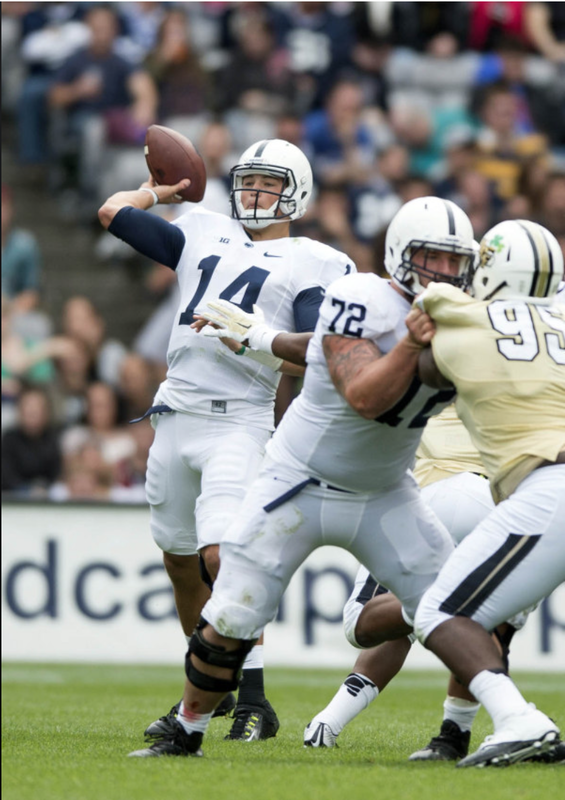 This kid Hackenberg though, he’s really something.